“Bochs is a highly portable open source IA-32 (x86) PC emulator written in C++, that runs on most popular platforms. It includes emulation of the Intel x86 CPU, common I/O devices, and a custom BIOS. Bochs can be compiled to emulate many different x86 CPUs, from early 386 to the most recent x86-64 Intel and AMD processors which may even not reached the market yet. Can I use the same thing in RaspberryPi 3? You would need to ask the maintainer or their user forum if any. Others have managed to emulate Windows XP on a Pi, but according to them, it was "agonisingly slow"
We're talking 5 minutes to boot slow. In a world where I am used to my gadgets booting in ~3-8 seconds, I don't think I could have the patience to wait 5 minutes. Then its slow while in use too. The RPi has an ARM CPU and any VM will be painfully slow running any version of Windows past 95B.. There are enough people claiming to have done it that it might be possible, but it looks slow. This claims to be running on a Pi, but doesn't show anything that looks like Pi. Video shows a boot in apparently real time that takes about 5 mins. Screen update of the mouse cursor looks jerky once booted. Last edited by PiGraham on Wed Feb 14, 2018 10:04 am, edited 1 time in total. First thing I see is an out of date ("doesn't work on Jessie", 2015) how to install Bochs on Raspberry Pi. What has TinkerOS got to do with anything? It means the video is a lie and the guy filming it was not using a Raspberry Pi. 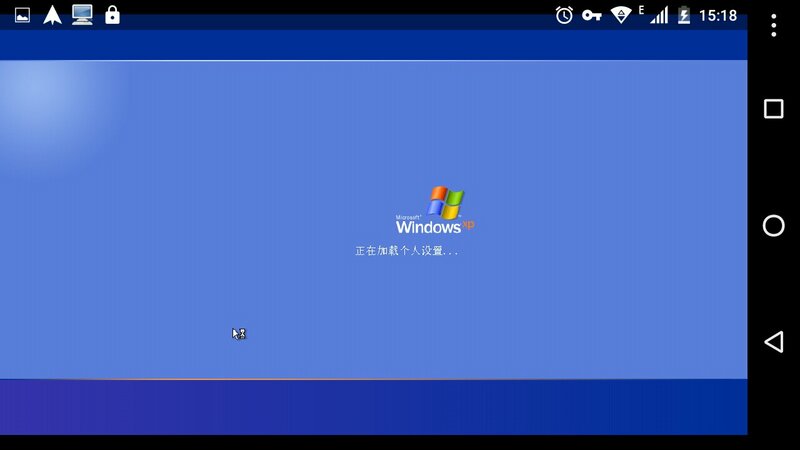 That, is a TinkerOS taskbar. You can see it at the very start of the video, 10 seconds in. Last edited by Imperf3kt on Wed Feb 14, 2018 10:08 am, edited 1 time in total. That is what Raspbian with LXDE looked like ... Raspbian Wheezy from 2012, that is. Okay then, guess I was wrong? I really should study Pi history a little more. Ah, OK. No surprise that there are fake videos out there. I did note there was nothing in that video that looked like Pi but that doesn't tell us if it's all fake. It might be.